The Run for L’Arche was started in 2011 and has raised over $400,000 for L’Arche Calgary’s homes and programs for adults with developmental disabilities. The Run for L’Arche was started by a group of Rogers Insurance employees after they traveled to France to participate in a marathon and had the opportunity to meet Jean Vanier, the founder of L’Arche. Their visit inspired them to organize a half marathon to raise funds to support the L’Arche Calgary community. This event is now one of the most popular events on the Calgary race calendar thanks to our enthusiastic volunteers, cool shirts and a race that truly welcomes all levels of participants. The insurance industry has supported the Run for L’Arche since the beginning and Economical Insurance has been the presenting sponsor since 2011. To promote the race within our industry, awards are given out annually to insurance participants. These awards include fastest broker, fastest underwriter and much more. We look forward to many amazing Runs for L’Arche in the future and, if you haven’t experienced this one of a kind race, you should make sure and register or volunteer for our 2019 race! 2019 RUN FOR L’ARCHE WAIVER: In the consideration of the Rogers Insurance Run for L’Arche accepting this, my entry, I hereby, both for myself and my heirs, release from liability and waive any and all claims for damages (whether for personal injury, death, illness, property damage and/or loss), including claims for negligence, which I may have as a result of my participation in this race, against the following: Rogers Insurance Ltd., L’Arche Association of Calgary, Economical Insurance, The City of Calgary, Strides Running Store Inc., race organizers, and the volunteers assisting them, and any other participants in this race. I acknowledge that running is a sport with risks (both known & unknown) inherent in it, and accept those risks, and all consequences thereof, for myself alone and I agree not to participate unless I am medically able, properly prepared and should not participate without my physician’s approval. I also consent to the posting of my name on the Rogers Insurance Run for L’Arche website, Strides website and Race Roster website for the purpose of registration, confirmation, race results and race photos that may be included. In addition I grant permission to the event organizers to use and/or authorize others to use any photographs, motion pictures, or any other record of my participation in this event or related activities without remuneration. I acknowledge that I have read this Release in its entirety, that I understand and agree to be bound by its terms and I am signing it voluntarily without duress or under influence from anyone. ALL FEES ARE NON-REFUNDABLE. PLEASE REFER TO AND READ CAREFULLY THE TRANSFER RULES, BEFORE SELECTING YOUR DISTANCE. We realize that sometimes our registrants need to change their event or transfer their bib to another person due to personal reasons. Of course, making these changes requires time and effort on our part. Registrants switching from the 5 Mile to the Half Marathon will only be required to pay the difference in registration fees. 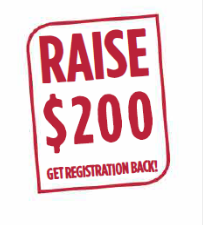 Half Marathon registrants can change their registration to the 5 Mile or transfer their bib to another person, but they will be required to make $25 donation to L’Arche Calgary first. Please note that you will not be refunded the difference in any registration fees. CLICK HERE http://bit.ly/1PMORNd Once you have your electronic receipt, send it and your request to runforlarche@rogersinsurance.ca.